In the past few months, Google has introduced two major changes to their Google Keyword Planner available via Google AdWords. The tool is frequently used by SEO (search engine optimization) experts not only for paid advertising, but also to research and analyze keywords for organic search. Google Keyword Planner provides estimates of average monthly searches of individual keywords. The tool can focus results on specific geographic areas, and is therefore very helpful in multilingual search engine optimization. However, the Keyword Planner is no longer available to users who are not running an active paid AdWords campaign. For these users, Google has limited the search volume data by grouping them into wide ranges, which cannot be used effectively. If you don’t want to play Google’s game, there is a range of tools – free and paid – that provide you with similar insights. But consider this carefully, because it’s quite nice to get your data straight from the source. Especially when Google is the #1 search engine (its market share in most European, South American and many Asian countries is above 90%) and most third party tools rely heavily on this data. Another update has introduced a Close Variant, which combines search volumes of similar keywords. Before this update, the tool displayed search volume for the exact match keyword. Today, the tool shows a combined search volume for the given keyword and its close variants. The close variants can include singular and plural forms of the noun, possible abbreviations, synonyms and different spelling variations. This means that we no longer know which exact version of keyword is the most popular, and we only get search volumes for a group of closely related keywords. Moreover, the tool doesn’t always follow its own rules. Search Engine Land has warned about this problem and listed a few examples of oddities they have found. If you don’t want to cope with the fact that Google provides you now with less data, check out this other article from Search Engine Land with a hack to get the old Google Keyword Planner volumes. 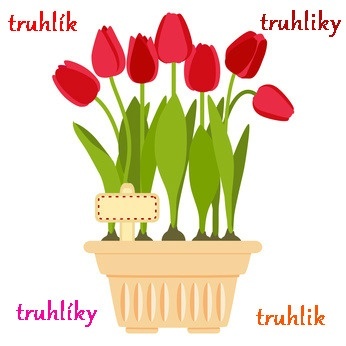 We have decided to run a little exercise of our own, focused on testing how the tool can cope with singular, plural and spelling versions of the same noun in other languages than English. To keep this exercise focused, we were not using any synonyms. We have chosen German, French and Czech – three distinct European languages. They each have a few special characters absent in the English alphabet, include different spelling alternatives and have more complicated rules for making plural forms of nous. Let’s see how Google performed! In each language, we have analyzed 10 keywords and up to 3 close variants of each keyword. The results were very poor – Google has correctly revealed that ALL tested variations were indeed close variants in only 20-30% of keywords. This makes keyword research in languages other than English very difficult, as you never know whether Google is including close variants or not. Moreover, the tool often offered new keyword variations of its own choice, bringing even more confusion to the matter. Similarly to Search Engine Land findings, we also conclude that it doesn’t always follow its own rules. The biggest problem remains that you never know in advance if Google will treat your specific keyword and its plural forms or a slightly different spelling variations as a close variant or not. Singular versus plural: Overall, Google managed to recognize that singular and plural forms relate to the same noun. For example, Google has correctly identified that Schneidgeräte (cutting machines) is a plural form of Schneidgerät. So it was quite a surprise when Google failed to identify Anhängerplanen (trailer tarps) as a plural version of Anhängerplane. In both cases, plural forms of nouns are formed using basic grammar rules. Google’s performance was also quite good at revealing different spelling variations, where letters with umlauts ä, ü, ö are spelled as ae, ue and oe. Schneidgerät = Schneidgeraet. Well done. 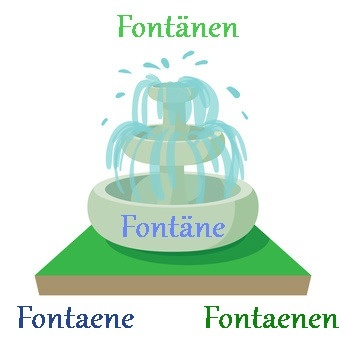 But again, there were exceptions; Google failed to identify Fontäne (fountains) and Fontaene as the same keyword. Google’s performance was far less convincing when it came to abbreviations. It failed to recognize that Kfz-Diagnosegerät (motor vehicle diagnostic tool) is the same as Kraftfahrzeugdiagnosegerät. Google’s performance also wasn’t solid when it came to identification of the same keywords that could be written as a single word or two words. For example, Kryobehälter (cryogenic container) and Kryo Behälter were treated as two different search terms. Finally, what was probably most upsetting, was when Google didn’t give us the search volumes for all keywords we entered, but it gave us a search volume for a different keyword instead. For example, in a tested keyword variation Schneidgerät / Schneidgeräte / Schneidgeraet / Schneidgeraete , it did not provide search volumes for two keywords, saying “Some keywords that you entered and their close variants have been grouped into one row.” and instead it gave a search volume for “Schneidtechnik”, a synonym that we were not even researching. Why?! Singular versus plural – Google performed well in revealing plural and singular forms of one word keywords or keywords where only ending of the noun changed, e.g. lanière / lanières or jouet en bois / jouets en bois. But it struggled with identification of keywords including adjectives, where ending of the adjective changed. E.g. vis cassée / vis cassées (broken screw) or perche isolante / perches isolantes (hotstick). In French, some people replace the letter é with e or à with a when typing keywords into search engines. Google should be therefore able to recognize that both variations relate to the same keyword. Sometimes it did, sometimes it didn’t. You cannot rely on the Google tool in this regard in either way. Another common search behavior in French is to spell keywords like “filtre à l'huile” as “filtre a l huile” or “filtre à l huile” where the apostrophe is replaced with a space. Yet again, Google’s performance in this regard is unbalanced. In French, Google was coming up with other search terms even more frequently than in German, often including phrases that were not written grammatically correctly, such as “filtre al huile”. I was very curious how Google would cope with my mother tongue, which is more complex than English, French or German, because it includes many rules and exceptions for creating plural forms of nouns. Moreover, similarly to French, some letters with special characters like č, ř, š are written by some as c, r, s in online searches. So how did Google do? In summary, Google was just confused. Sometimes it followed the rules correctly, but not always, and the results were just so inconclusive. It only managed to do well with very simple one word nouns like řasenka (mascara). 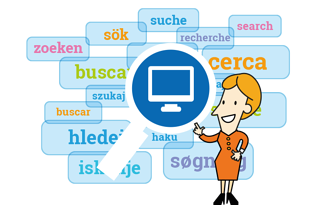 You can view results of multilingual keyword testing here. While some criticize Google for the introduction of close variants at the first place, I have to admit I quite like the idea, especially the equal treatment of singular and plural nouns or its slight variations. I do believe that this will lead to an improved user experience, as it gives a true incentive to SEO and content specialists to focus more on the relevancy of keywords and content quality. However, my big concern remains that the tool cannot reliable identify these variations in many languages and thus creates more difficulties than benefits. Good idea – poor implementation. Let’s hope this is a question of time, and that the algorithm of identifying close variants across languages will become more reliable in the near future.